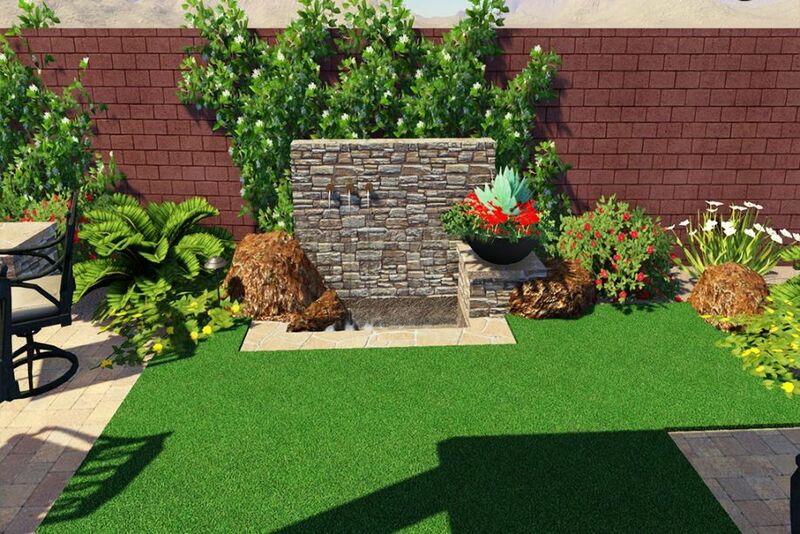 Designing your outdoor area is a multi-step process that can be facilitated by the use of a 3D virtual or free online landscape design software programs and apps. Similar to how online architecture design software helps you construct a home or office building, modify the structure of the building, and experiment with different styles, a landscape drawing program lets you play around with different aspects of your outdoor space. Plus there are numerous front and backyard landscaping software programs on the market that are inexpensive, easy to use, and have an array of features to help with the design process. 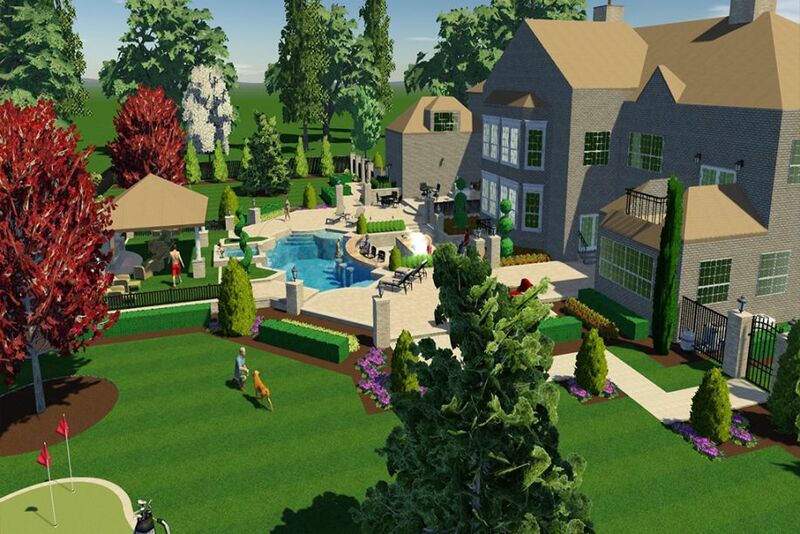 At the top of the list of best garden planner and 3D landscaper programs is Realtime Landscaping Plus 2017 by IDEA Spectrum. This program has a wide selection of high-resolution, high-quality plants with indexes filled with climate zones and botanical names, an extensive object library with a variety of furniture, pots, lights, cars and other outdoor items, as well as designs for ponds, streams, fountains, and other water features. 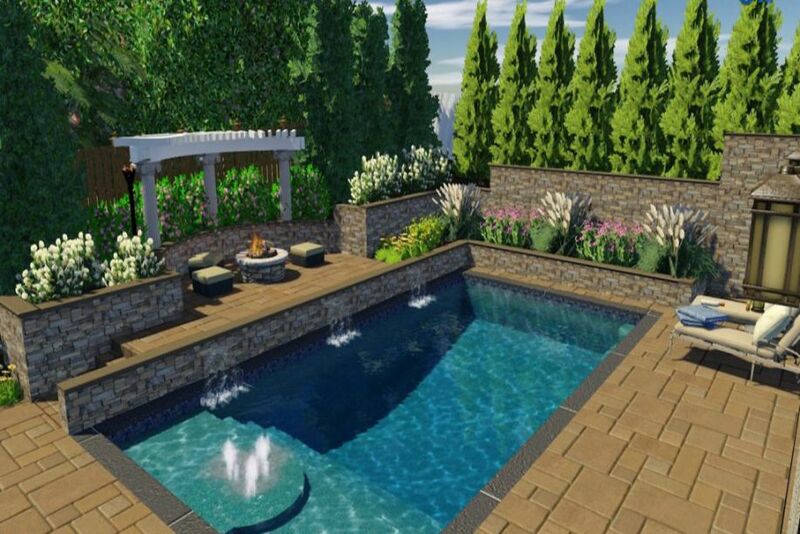 With the myriad of pre-created designs it is extremely simple to find many different quick and easy landscaping ideas such as curving decks, brick patios, or stone pools, or you can create your own custom designs. 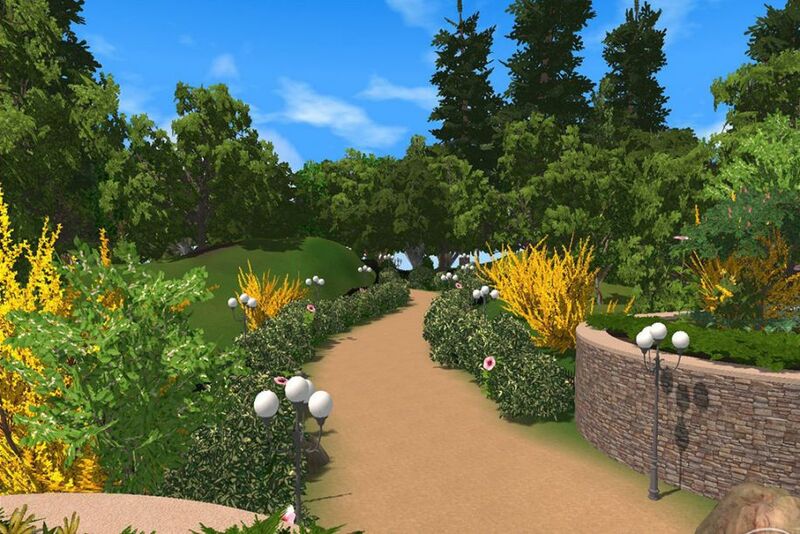 IDEA Spectrum also offers a virtual garden planner called Realtime Landscaping Photo which allows you to upload a picture of your own home to see how different plants, flowers, trees, and shrubs will look in your yard. This program allows you to create custom designs, alter the layout of your yard, and a wide variety of high-resolution plants and flowers to choose from. This higher resolution allows you to use landscaping photos to visualize an up-close image of your plans, and produces a clearer picture when printed out. This outdoor design software even offers a tool that informs you of which plants grow best in different climates, plus tips on maintenance and watering schedules. For those homeowners looking for a more detail oriented, professional-grade software you may want to consider free landscaping software. 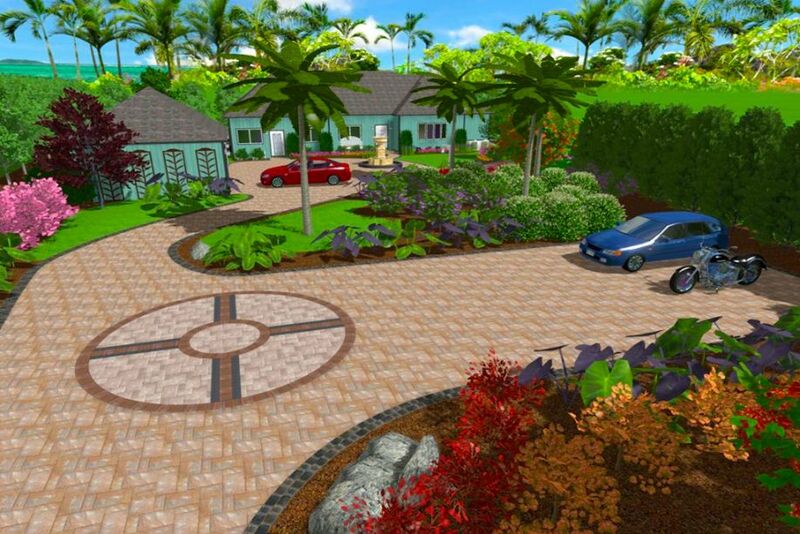 This program was created with landscape contractors and other professionals in mind, as it boasts advanced computer aided design features and sophisticated image editing technology. For PRO Landscaping software 2020 brings a new version with superior features including an iPad companion for modifying, updating, or creating your designs on-the-go. If you are looking for simple landscaping ideas for front yard, decorative do it yourself patio layouts, or easy pool designs, this program might be too advanced for your everyday use. Other landscape design software that rank among the top 10 professional reviews for 2017 are produced by NexGen, Punch!, and Chief Architect. The Home and Landscape Design, by Punch! 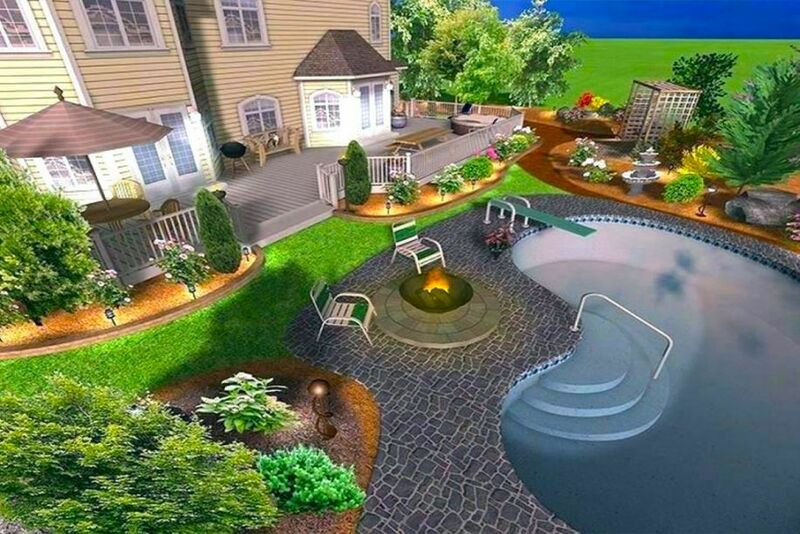 is a great software platform for pc and mac alike, boasting features and tips that allow you to create an energy efficient and “green” space plus view 3D landscape design images of your backyard. Conversely, the Home Designer Landscape and Deck 2017 by Chief Architect is catered towards PC users with numerous tools that can help you learn how to work the program. For example, in this easy to use house design app there are a variety of tutorial videos on how to draw landscaping plans, home models, and room layouts, plus step by step training videos specific to each project. Some homeowners have a budget when it comes to their interior and exterior house renovations, so investing in costly software at the beginning of the landscape design process can be an intimating thought. Plus with the wide selection of available programs, it can be even harder to decide which one is best for you. One way to help decide which program suites your needs is to search for a free trial version that you can download and experiment with. However, typically these trial versions are time-limited and expire after a couple of weeks which may not be enough time to draw up new home landscaping plans. With is free online landscaping software, such as the one offered by BHG and Garden Planner 3, that is based primarily off of a website and does not need to be downloaded to your computer.